South Tyrolean Daniel Menestrina is a technical delegate at the Hahnenkamm-Races. In his interview he talks about his job and the race on the Streif. Mr. Menestrina, what does your role as technical delegate entail in the scope of the World Cup? A technical delegate must be present at every race to make sure that various disciplines are carried out correctly. Before the World Cup was modernised, the technical delegate would also carry out the race. The problem with this was that there was no standardised working method – when four delegates put forward one rule, there would often be four different opinions. My job is to support FIS-Race Director Hannes Trinkl in an administrative capacity, such as the preparation of start lists. A technical delegate is also always present at a FIS-Race. However, it is important that he is from another country – so, in Austria, no Austrian “TD” is allowed to carry out the race. A sort of jury consisting of four technical delegates will, however, be present at major events. The Streif is not exactly short course. How do you watch the race as a technical delegate and where from? This is usually discussed with the Chief-Race-Director. For the technical disciplines, I will usually be positioned in the finishing area, so that I can get there quickly to announce a disqualification, for example. In speed-races, however, I try to be at the start – the job is a little easier from top to bottom, after all. Are there differences between the disciplines? There is probably more to look out for in the Slalom compared to the Downhill, right? Yes, we receive videos throughout our training and we have to answer questions like: did the racer straddle the gate? How easy it is to answer that question depends a lot on the position of the camera. In the Slalom, on a slope with lots of transitions, you might not be able to tell whether the athlete raced correctly, even with the video. Can the technical delegate influence the setting of the course in any way? 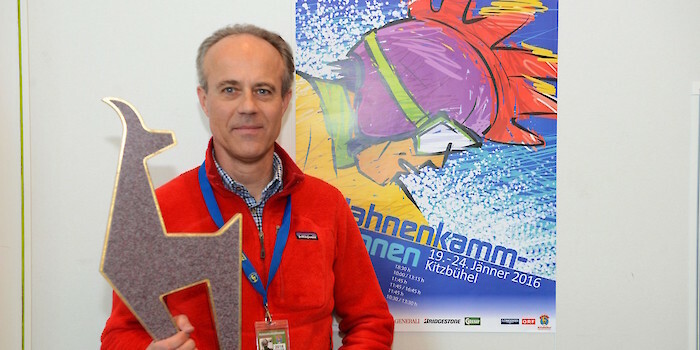 Not in the Downhill or Super-G, that’s the FIS-Race Director’s job. Seeing as the Slalom is set by the coaches, we can influence the layout if it gets dangerous. However, we can’t label a course as “too difficult” and change it – only if we have concerns about the racers’ safety. How long have you been a technical delegate? For roughly 16 years. I’m a little unlucky because I get sent to races Germany, Austria and Swizerland a lot seeing as I can get there relatively quickly from Bolzano. Colleagues of mine who live closer to airports have higher chances of being sent to events in Scandinavia or overseas. I have to say, the nice thing about my job is this: You get to witness the racers “grow”. Just as an example, when I first met Marcel Hirscher, he was a long way away from racing in the World Cup.